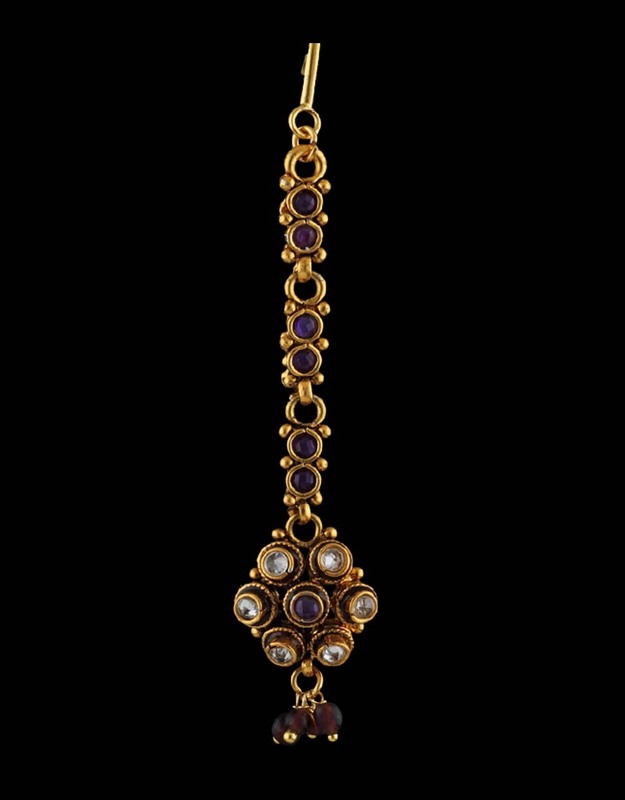 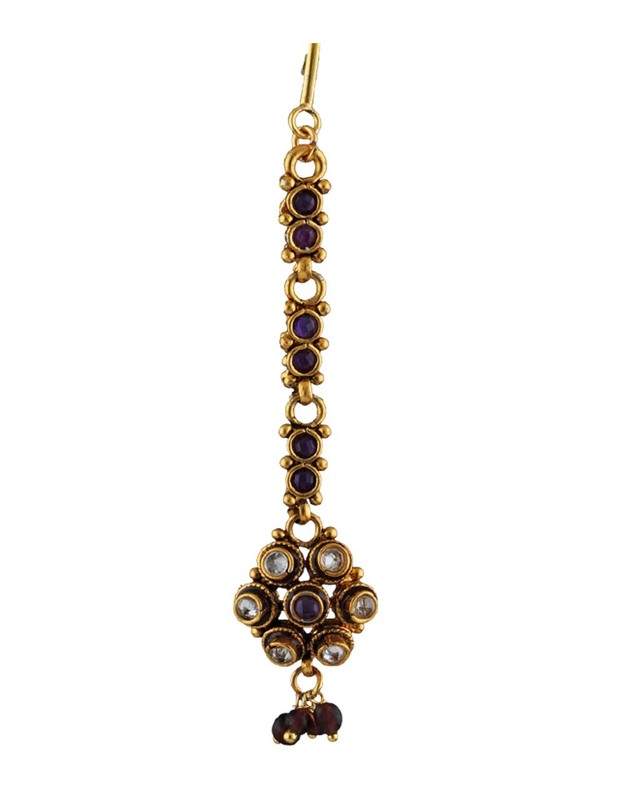 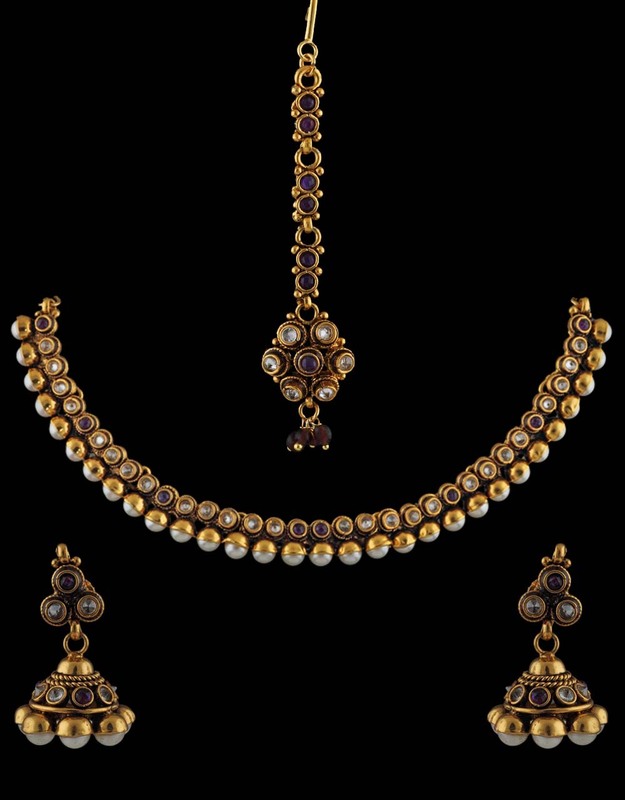 Your traditional appearance is certainly incomplete without wearing this purple colored necklace set from Anuradha Art Jewellery. 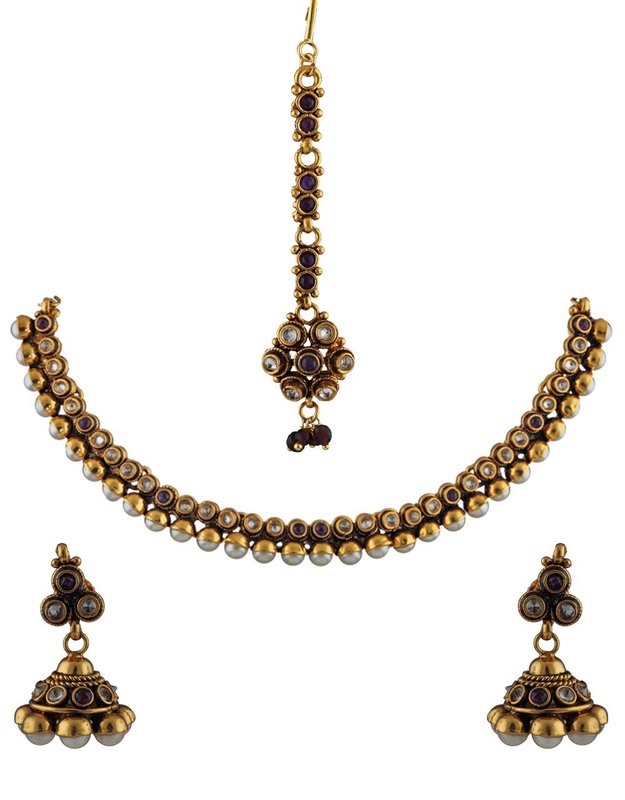 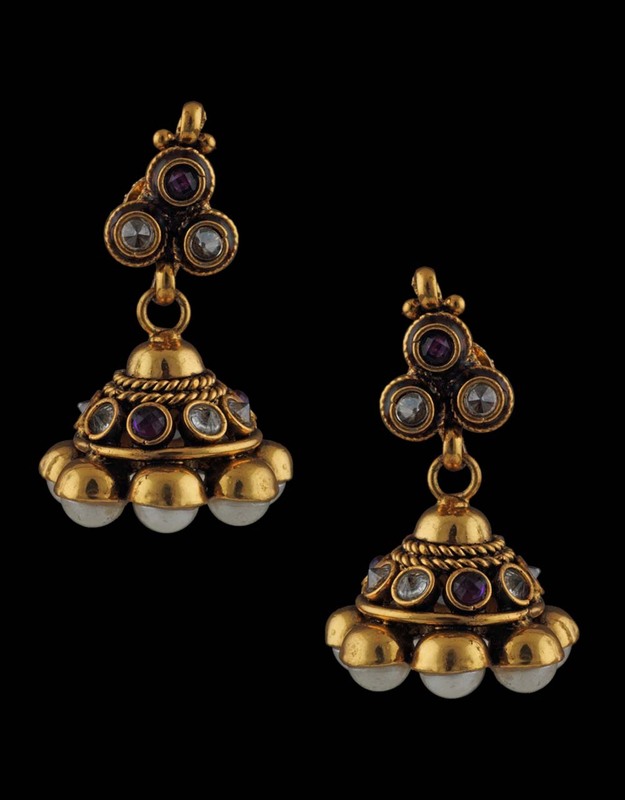 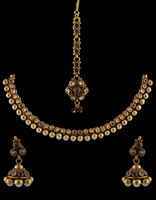 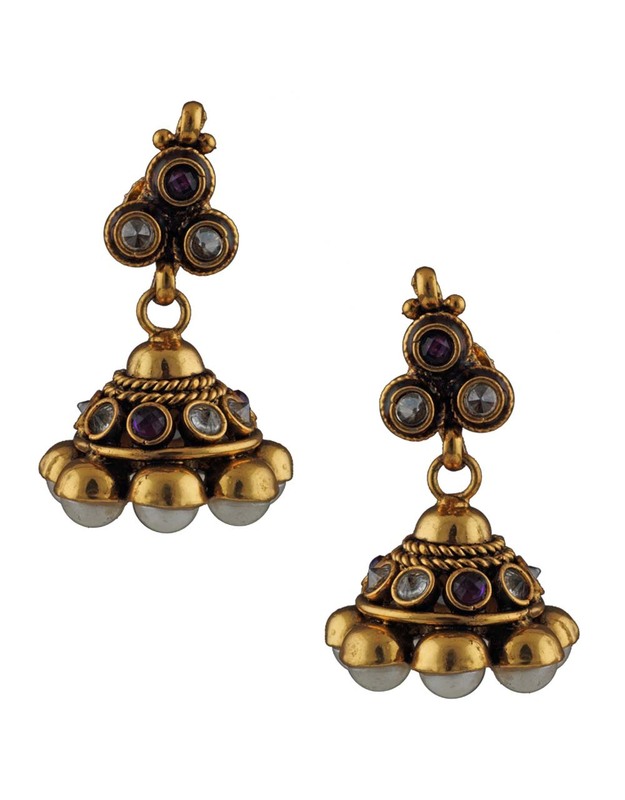 Exclusively designed, this set is encrusted with stunning stones & pearls. 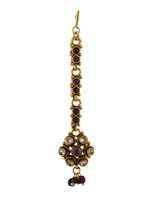 It is crafted from 40% silver and golden polished copper. 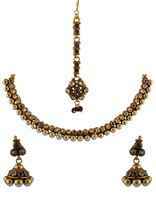 This set consists of necklace, pair of matching earrings & mang tika.